Tom has been an environmental professional based in the Pacific Northwest since 1991. 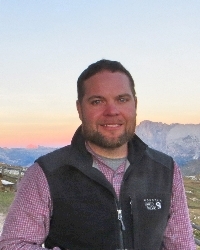 His experience includes extensive project management involving the Endangered Species Act (ESA), developing environmental assessment and habitat analysis projects, managing survey and inventory projects and designing and implementing study and survey protocols for a wide range of wildlife species. Tom has worked directly with numerous government agencies and a wide range of clients. He is an active member of the Pacific Seabird Group, the Marbled Murrelet Technical Committee (PSG), the Oregon and National Chapters of The Wildlife Society, the Oregon Environmental Council and the ASTM E50 Technical Committee. Jeff has been an environmental professional in the western United States since 1990. As the co-founder of Turnstone his experience includes project management on a wide variety of natural resource based projects involving terrestrial, aquatic and botanical species and the ecosystems they require. He uses multispecies based management methods to ensure regulatory compliance through forestry and wetland practices. He is well versed in environmental permitting, including state and federal Endangered Species Acts, which include a wide variety of aquatic and terrestrial ecological survey and inventory projects, habitat delineation, environmental assessment and conservation mitigation projects. Jeff also manages the water resource division where he works within the 404 Clean Water Act conducting wetland delineations, joint permit applications and compensatory mitigation. Jeff is the co-owner and private sponsor of Muddy Creek Mitigation Bank where he was successful in completing a multi-agency approved instrument and memorandum of understanding. 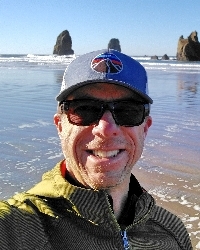 He is a member of the Pacific Seabird Group, part of the Marbled Murrelet Technical Committee (PSG), past board member of the Oregon Chapter of The Wildlife Society, member of the Society of Wetland Scientists and volunteers time as a board member with the local watershed council. Jeff graduated with a Bachelor's of Science from Oregon State University. 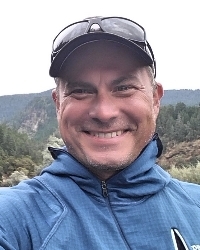 Devin has broad experience as a natural resource specialist throughout the western United States with a strong focus on sensitive and endangered wildlife species. He has an exceptional understanding of wildlife science, is able to identify most wildlife species and is well-versed in survey, inventory and delineation protocols and techniques. His wildlife experience includes spotted owls, great gray owls, marbled murrelets, waterfowl, northern goshawks, peregrine falcons, bald eagles, bats, a wide variety of fish species, amphibians, macroinvertebrates, amphibians and a working knowledge of the flora of the Northwest. He is an expert at the logistical considerations of large-scale natural resource inventory projects. Devin is adept in the use of GPS tools including data loggers, correction techniques and software and is well versed in relational database creation, GIS mapping, network administration, customized data entry and management tools for ESRI software. Stephanie has a wide range of field experience as an environmental scientist and a MS in Environmental Science. She has a unique blend of skills that allows her to conduct both biological and botanical surveys. With her rare understanding of causal relationships due to her expertise in collection and analysis of field data, she specializes in assessments of how environmental conditions affect the biological and botanical health of an area. This quality results in exceptional assessments and recommendations for our clients. She has worked throughout the Pacific Northwest, Alaska, Montana and California. She has conducted numerous noxious weed surveys and landscape-level projects and is well-versed in survey, inventory and delineation protocols. She is an expert at soils and vegetation analysis. Education includes certification by the Army Corps of Engineers to delineate wetlands, numerous TES survey protocols, USFS Foliar Distress Identification, forestry practices, NW Forest Plan, a BS in Environmental Science from Oregon State University and a MS in Environmental Science from Western Washington University. 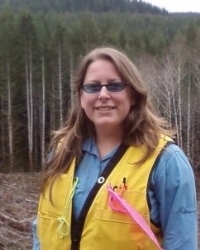 Daphne has been in the natural resources field since 2009 primarily in the Pacific Northwest. 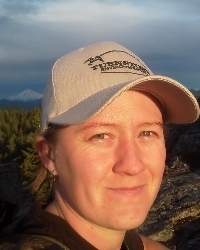 She has conducted surveys for various projects on a wide variety of taxa, including northern spotted owls, terrestrial mollusks, marbled murrelets, streaked horned larks, amphibians, and Washington ground squirrels. She also served as the lead field biologist for two baseline wildlife monitoring projects in the Portland Harbor involving avian point counts, eagle/raptor surveys, mink sign surveys, and wildlife camera monitoring for mink and other wildlife. 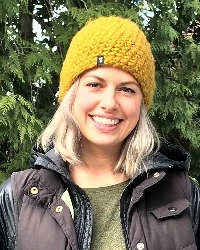 Daphne is experienced in wildlife monitoring protocols and techniques, as well as the terrain and logistical considerations indigenous to the western landscape. Daphne holds a BS in Environmental Biology/Zoology from Michigan State University, and certifications from Portland State University's Environmental Professional Program, Pacific Seabird Group's Marbled Murrelet Survey Protocol, and the North American Banding Council's Passerine Bander and Trainer Program, and is a board member of the Oregon Chapter of The Wildlife Society. Since joining the team in 2013, Joe has contributed his knowledge to a variety of projects at Turnstone including botanical studies, forest inventory, wildlife surveys and wetland delineations. Joe's extensive understanding of the flora, fauna and habitats of the Pacific Northwest allow him the versatility to contribute to collaborative interdisciplinary studies. 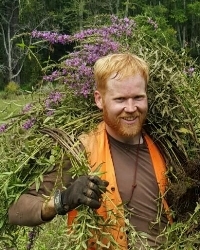 His botanical experience includes rare plant surveys, vegetation monitoring for the University of Washington and the Washington Department of Transportation, as well as outgrow propagation projects for endangered plant species. He is extremely well-versed in the flora of the Pacific Northwest and Rocky Mountain states and has led plant identification and taxonomy classes in a laboratory setting. Joe is a member of the Native Plant Society of Oregon and the Society of Wetland Scientists. Joe has earned a professional certification in wetland delineation from Portland State University and holds a Wetland Professional in Training Certification. During his time with Turnstone, Joe has delineated over 300 wetland areas in Oregon and Washington. Joe earned his Bachelor of Science from Evergreen State College, where he studied botany and vegetation ecology. Sarah combines a strong background in management information systems with broad experience in the fisheries and wildlife field to bring valuable skills and expertise to Turnstone. She earned a Bachelor of Science in Management Information Systems in 2005 and Bachelor of Science in Fisheries and Wildlife in 2009 from Oregon State University. Since joining Turnstone in 2010, she has conducted surveys for and coordinated projects involving several wildlife species including the northern spotted owl, great gray owl, marbled murrelet, bald eagle, streaked horned lark, peregrine falcon, and a variety of fish and amphibian species. She is an expert in data management and programming, and provides GIS and technical support for a variety of projects including wildlife inventories, wetland delineations, impact and habitat analyses, and permitting. 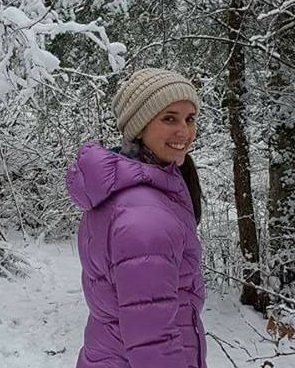 Jordan has been working in the wildlife field in the Pacific Northwest since 2011. She has a proven ability to lead field crews and to interact with the public, private landowners, and resource management agencies. Jordan is exceptionally detail-oriented, and she has led crews of varying size, ensuring that all surveyors maintain the highest possible quality and strictest adherence to protocols and that performance standards are upheld throughout the project. In addition to considerable experience with marbled murrelets and wildlife habitat delineation, she also has regularly conducts surveys for a variety of other wildlife species including northern spotted owls, terrestrial mollusks, red tree voles, raptors, and amphibians. Jordan holds a BS in Zoology from Humboldt State University and is a member of the Oregon Chapter of The Wildlife Society.